Thanks to the work of its experts, almost 3,000 km of optical fibre are now in operation, linking at very high speed the main nodes of the network in Rome, Bologna and Milan using the alien wavelengths technique, which lowered costs and shortened construction time. Such a technique enables the transport of light signals on a different optical platform from the one that first generated them and allows the interaction among different devices, thus maximizing their performance. This is the first time that a fully operational infrastructure is built with this technology over long distances, with the longest of the four connections reaching over 1,000 km. In this way, in just 3 months’ time, GARR created an optical network linking the main Italian nodes with a 100 Gbps backbone and this only by using the existing transmission and amplification hardware, and only by updating its signal generation component. This is an exceptional result, considering that this is about a third on the time required to achieve the same result by creating a network from scratch or by updating the entire equipment. Plus, this is also a way to protect the investments made over a longer period of time, by extending their life. In this specific case, the use of alien wavelengths enabled GARR to reuse the already available hardware and this helped lowering the total cost to less than half while it extended the life of the entire infrastructure to about three more years. The main advantage of this solution is straightforward: without expensive investments, it provides a more advanced infrastructure, easy to manage, efficient and widely scalable, with the possibility to reach a capacity up to 8 Tbps, to better support scientific collaboration. There is however an additional advantage in the use of alien wavelengths: lessening dependence on specific technologies or on technology suppliers, with a consequent reduction of the so-called vendor lock-in. “Alien wavelengths were already well-known as experimental technique but they had never been used in production before on such a large geographical scale. In order to do so, we needed a testing time of about a year but then we created something truly unique and this result has been acknowledged also at the international level” commented Massimo Carboni, Chief Technical Officer of GARR. 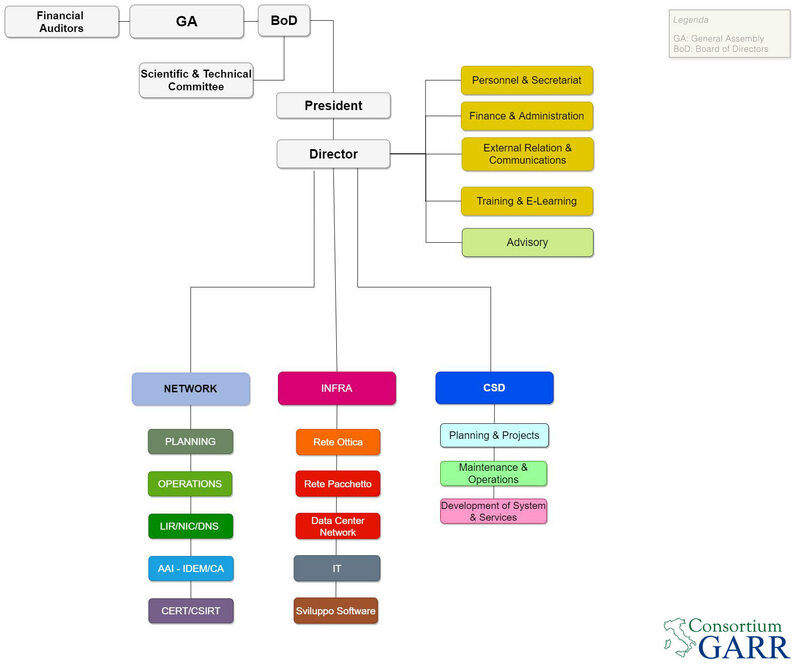 "GARR serves the research and education community, which includes groups making an advanced use of the network. It is a community that already needs connection capacities in the order of 100 Gbps. Keeping pace with these requirements means that the network itself must evolve quickly and this implies the risk of a rapid obsolescence of infrastructure. The benefit of using alien wavelengths is the possibility to quickly obtain these levels of performance without new investments on equipment. This opens up new scenarios for the evolution of networks in the coming years". GARR effort towards continuous innovation does not stop here, but continues towards the next generation of network, which will inevitably be more complex, modular and increasingly oriented towards a tight combination of software and hardware and not just a network according to its traditional definition. To anticipate these changes and to face new challenges on time, GARR started a reflection through a pdf White Paper (1.78 MB) and shared within the research community.